My name is Dr. Tufia Steidle. I am a licensed psychologist and owner of Solutions Through Horses. I have been in practice for almost 20 years and have loved horses since childhood. I have personally seen the therapeutic power that horses have and how they facilitate the growth and healing in people. 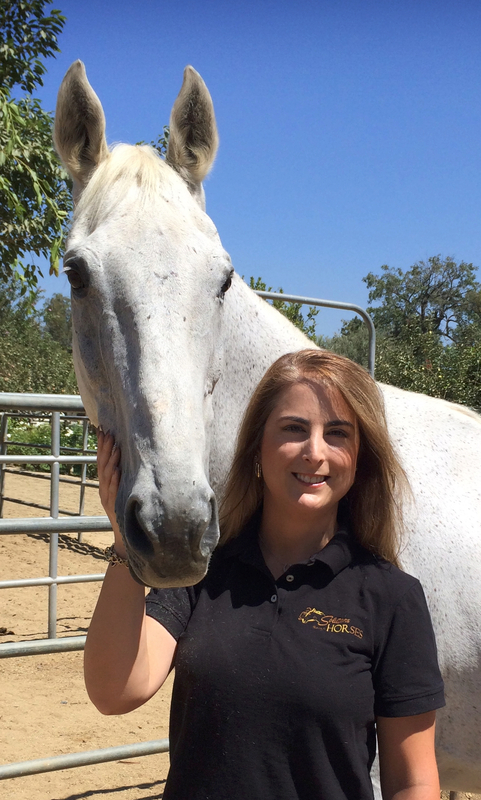 Combining my expertise in psychology and my passion of horses is a rewarding experience for me and my clients. I am a Certified Equine Assisted Psychotherapist through EAGALA (Equine Assisted Growth and Learning Association) and hold a Dual Certification as an Equine Specialist. I have worked in a variety of clinical settings during my career, including; working in a student counseling center at a college, providing mental health care in a prison, providing counseling services for people with AIDS/HIV, working in an inpatient substance abuse facility, and also providing psychotherapy in several community mental health clinics. I am also trained in several Evidence Based Practices, including; Seeking Safety, Trauma Focused CBT, and Interpersonal Therapy for Depression. These experiences allow me to work with people of all ages and needs. For almost 10 years, I held a senior management position at a nonprofit community mental heath agency in Los Angeles. As a Director, I was responsible for overseeing the mental health care of over 1,000 clients, supervising over 100 staff, and managing budgets and contracts across 8 clinics. This experience allows me to understand the organizational needs of companies and how to develop strong leadership teams. I am actively involved in English riding, owning an Andalusian Stallion that I ride regularly and compete in dressage shows.